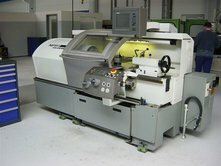 Mounting a Gildemeister NEF 330 on a concrete floor. 6 Bilz Precision Leveling Wedges of the Type PKA 1-4 bolt-on are used. 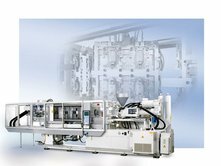 Bolt-on type plastics injection molding machine from KraussMaffei on Bilz Precision Leveling Wedges.